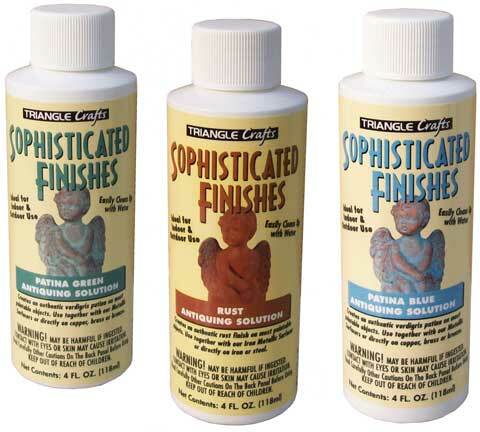 These solutions will produce a verdigris patina finish on metals of solid copper, brass and bronze. They may also be used as a second coat on top of surfacing solutions. Instant rust may be used on raw iron and raw steel. All of the solutions may be mixed with each other for multi-patina effects.